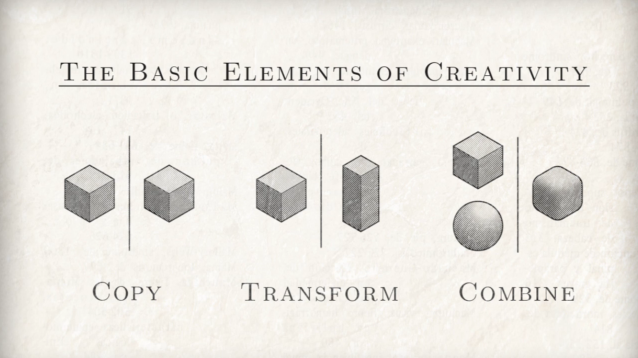 Why remix culture and collaborative creativity are an evolutionary advantage. Much has been said about what makes us human and what it means to be human. Language, which we’ve previously seen co-evolved with music to separate us from our primal ancestors, is not only one of the defining differentiators of our species, but also a key to our evolutionary success, responsible for the hallmarks of humanity, from art to technology to morality. So argues evolutionary biologist Mark Pagel in Wired for Culture: Origins of the Human Social Mind — a fascinating new addition to these 5 essential books on language, tracing 80,000 years of evolutionary history to explore how and why we developed a mind hard-wired for culture. Our cultural inheritance is something we take for granted today, but its invention forever altered the course of evolution and our world. This is because knowledge could accumulate as good ideas were retained, combined, and improved upon, and others were discarded. And, being able to jump from mind to mind granted the elements of culture a pace of change that stood in relation to genetical evolution something like an animal’s behavior does to the more leisurely movement of a plant. But how did “culture” develop, exactly? 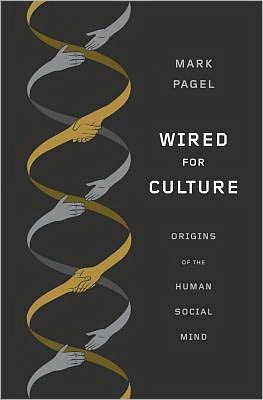 Language, says Pagel, was instrumental in enabling social learning — our ability to acquire evolutionarily beneficial new behaviors by watching and imitating others, which in turn accelerated our species on a trajectory of what anthropologists call “cumulative cultural evolution,” a bustling of ideas successively building and improving on others. (How’s that for bio-anthropological evidence that everything is indeed a remix?) It enabled what Pagel calls “visual theft” — the practice of stealing the best ideas of others without having to invest the energy and time they did in developing those. So, beginning about 200,000 years ago, our fledgling species, newly equipped with the capacity for social learning had to confront two options for managing the conflicts of interest social learning would bring. One is that these new human societies could have fragmented into small family groups so that the benefits of any knowledge would flow only to one’s relatives. Had we adopted this solution we might still be living like the Neanderthals, and the world might not be so different from the way it was 40,000 years ago, when our species first entered Europe. This is because these smaller family groups would have produced fewer ideas to copy and they would have been more vulnerable to chance and bad luck. “Steal like an artist” might then become “Steal like an early Homo sapiens,” and, as Pagel suggests, it is precisely this “theft” that enabled the origination of art itself. This article is reprinted with permission from Maria Popova. She is a cultural curator and curious mind at large, who also writes for Wired UK, The Atlantic and Design Observer, and is the founder and editor in chief of Brain Pickings. More from Maria on DailyGood: 7 Must-Read Books on Education 7 Ways to Have More by Owning Less Where Children Sleep: A Poignant Photo Series The Neuropsychology of "Don't Worry, Be Happy"